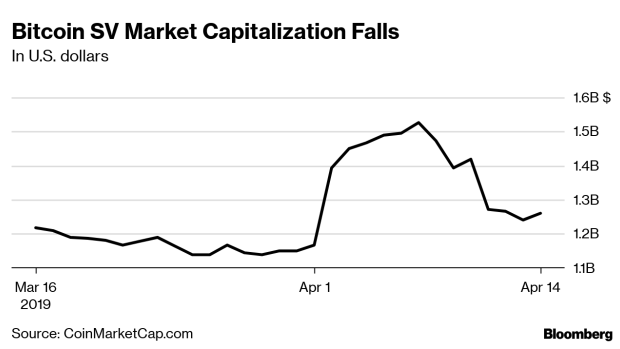 (Bloomberg) -- Binance, the world’s largest digital-asset exchange, is delisting the token known as Bitcoin SV amid a dispute with one of the creators of the offshoot of the original digital currency. The Malta-based trading platform announced Monday that was dropping Bitcoin SV, or Satoshi Vision, after a periodic review to ensure that all coins listed meet the firm’s highest standards. Bitcoin SV is the 12th largest cryptocurrency with a market value of about $1.2 billion, according to CoinMarketCap.com. It fell about 8 percent to around $65 on Monday, the crypto data provider said. Zhao Changpeng, the co-founder and chief executive officer of Binance, has criticized Bitcoin SV creator Craig Wright, who is accused of attacking crypto community members who have disputed Wright’s claims that he is the original developer of Bitcoin. Wright has for the last several years claimed he is the person behind the pseudonym Satoshi Nakamoto who started Bitcoin, though the evidence he’s used to support his claims has been disputed. When it split off in 2017, Bitcoin Cash jump-started the forking craze in which dozens of software-development teams sought to create money out of thin air by tweaking the original computer code and releasing coins with “Bitcoin” in their names. Bitcoin SV was split from Bitcoin Cash, the fourth-largest coin, in November.